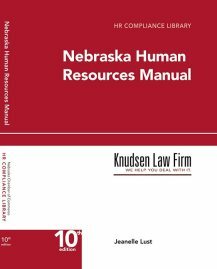 Last week, the Nebraska Supreme Court overturned a prior decision affecting whether misrepresentations made by a potential employee during the job application process can prohibit the employee from later recovering workers compensation benefits. The decision has implications not only in the workers compensation field, but also creates limitations for employers when using application information to evaluate an employee’s workers compensation claim. In Bassinger v. Nebraska Heart Hospital, 282 Neb. 835 (2011), the plaintiff misrepresented her history of work-related injuries on a pre-employment questionnaire for a job with Nebraska Heart Hospital. The plaintiff, who was subsequently hired, was injured on the job and filed for workers compensation benefits. Her employer denied benefits and the trial court dismissed her petition after finding that the employee willfully misrepresented her history of work-related injuries. On appeal, the Workers Compensation Review Panel reversed and remanded the case for a determination on whether there was a causal connection between the employee’s misrepresentation and her later injury. The employer appealed and the employee cross-appealed. On appeal to the Nebraska Supreme Court, the employee argued that the misrepresentation defense is beyond what is statutorily authorized in the Workers Compensation Act, arguing against the Court’s earlier decision in Hilt Truck Lines Inc. v. Jones, 204 Neb. 115 (1979), which had adopted such a limitation on benefits. In essence, the employee argued that the Court erroneously adopted a misrepresentation defense in Hilt Truck Lines. The Nebraska Supreme Court agreed with the employee and ultimately overturned the Hilt Truck Lines holding. The Court noted that the Workers Compensation Court is statutorily created, and therefore, it does not have equity powers. In the absence of language providing for equity powers, it is improper to add common law defenses, such as misrepresentation. The Court initially pointed to the language in the statute which the employer argued provided for a misrepresentation defense. In pertinent part, the statute states “[i]t shall not be a defense … that the employee was negligent, unless it shall also appear that such negligence was willful, or that the employee was in a state of intoxication … .” Neb. Rev. Stat. § 48-102. The employer had argued that willful misrepresentation which causes injury to the employee would constitute “willful negligence” under the statute thereby barring recovery. The Court found that this portion of the statute did not apply because it is only in relation to an “employee” not an “applicant.” As summarized by the Court, “[p]ersons who misrepresent their physical condition to obtain employment are applicants, not employees.” As the plaintiff was only an applicant at the time the misrepresentation was made, it did not preclude her recover under the Workers Compensation Act.